We need volunteers to help with our International Exhibition. This is the premier annual event for the Watercolor Art Society-Houston. We have many opportunities for participating in this wonderful event. Andy Evansen will be judging the show on Saturday, March 2. Thank you for indicating your interest in volunteering to help with the 2019 IWE and/or for helping out last year. This email is to give you some idea about the things we will need volunteers for and the timing of the activities. Most of the work will be needed after the close of the call on January 11, 2019. Look over the below and let me know the activities with which you'd like to help. I've added the names of the co-chairs who will be leading them. The reception takes place on Sunday, March 3 immediately following the Andy Evansen demo and requires people to help with organizing it, setting up, greeting guests, photography, kitchen workers, clean-up, etc. We'll need people to help with sending out invitations, greeting guests, preparing and serving snacks and champagne, photography, clean-up, etc. 3. Uncrating/Crating - Mike Doan is the co-chair and will need approx. 12 volunteers to help uncrate and record the accepted paintings on Friday, March 1. Recrating after the exhibition will happen on Friday, April 5. 4. Judging/Hanging - Tom Kraycirik is the Chair of this important event on Saturday, March 2. Andy Evansen will judge in the morning and we will need 2 or 3 helpers to move art around and record his comments. Lunch will be provided then a larger team of approx 10 people will be needed to hang the show in the afternoon. Men are especially helpful during the hanging to climb ladders and handle large paintings. 5. 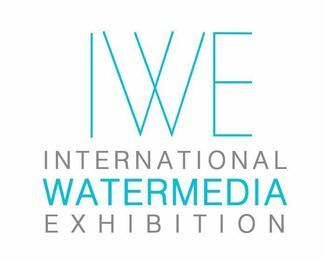 Extended Hours - Haley Bowen will co-chair this part of the IWE. We will have extended hours on Saturday and Sunday throughout the Exhibit. We need experienced Board members or Teachers who know the security procedures for the gallery opening and closing.